Whether sunk on purpose, as an artificial reef, or the result of mishap, wrecks open fascinating windows to the past. Most divers find wrecked ships, aeroplanes, and even automobiles nearly irresistible because they’re intriguing to explore, exciting avenues of discovery, and usually teeming with aquatic life. The PADI Wreck Diver course teaches you the ins and outs of rewarding, responsible wreck diving. Laying guidelines both inside and outside the wreck. Many shipwrecks are often found in deeper water. That’s why the PADI Wreck Diver course is a natural companion to the PADI Deep Diver course. Sometimes you can take these two specialities concurrently. Another training to consider is the PADI Enriched Air Diver course on your way to PADI Master Scuba Diver. 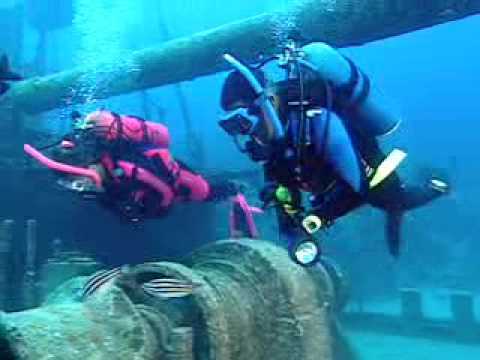 Contact us to take the Wreck Diver course.